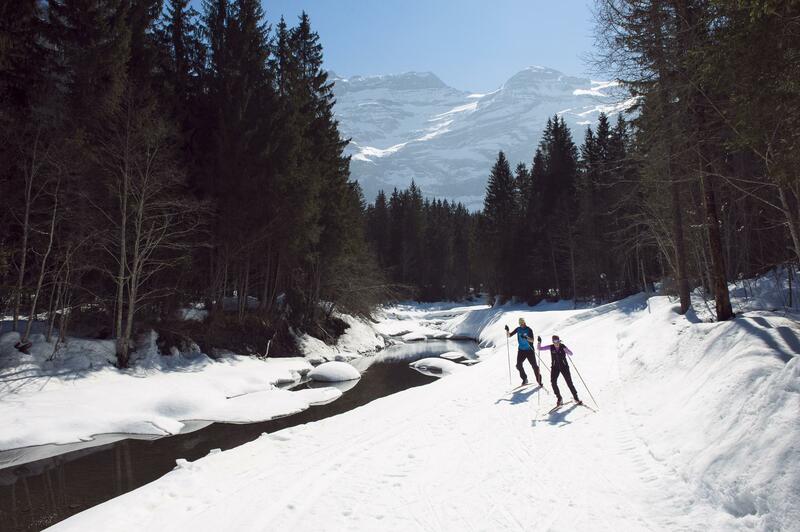 An easy cross-country skiing trail at the foot of the majestic Diablerets mountains. A different way to discover the nature and tranquillity of this area, with a wonderful variety of scenery through fields and forest, over a stream and past old chalets. This cross-country skiing route (classic and skate style) takes you from “Les Isles” to “Aigue-Noire”. The start and end point are ideally situated near the centre of the village well-known as a destination for families. The route is only marked in an anti-clockwise direction: Eurotel Victoria – Le Lederrey – Aigue Noire – Eurotel.